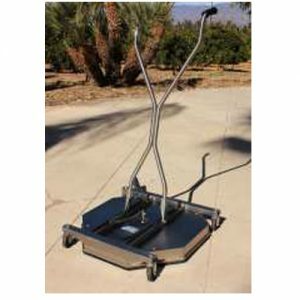 The Hydro Tek ANT 24 is a 24” deck Trident Hydro Twister® Series surface cleaner. 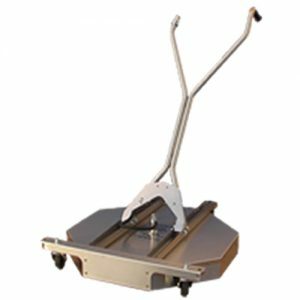 The ANT 24 is constructed of stainless steel with a hardened aluminum rotary arm and a brush skirt to contain the splash. 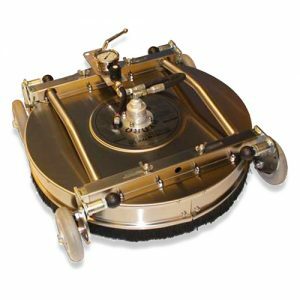 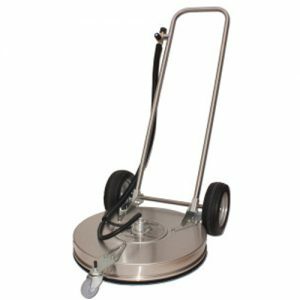 The Hydro Tek ANT 24 features a round deck, 3 casters, and a wishbone style handle that provides a protection to the pressure hose inside the handle. 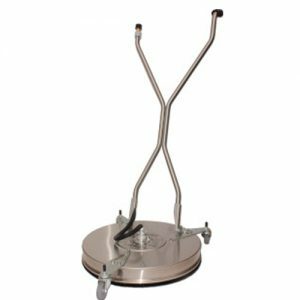 Hydro Tek is pleased to announce the new 24” deck Trident Hydro Twister® Series. 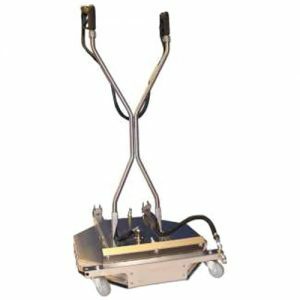 The Hydro Tek ANT 25 surface cleaner is constructed of stainless steel with a hardened aluminum rotary arm and a brush skirt to contain the splash. 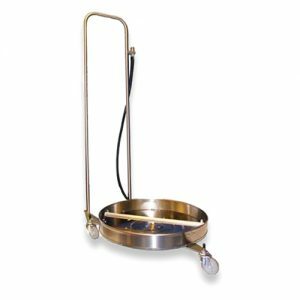 Available in choice of wheel preference: three casters for the convenience of free movement to wash side to side or choose the large, airless tires to reduce fatigue when working in straight lines.The unique spray arm and nozzle angles are effective for “to the edge” cleaning and cover more area (18,000 sq.ft/hour), without zebra striping, to clean faster.